Our military records and successes are encapsulated on our regimental colours and in our regimental histories. Much of a soldiers time is spent not on fighting but in preparing to fight. Part of the preparation for war is the development of team spirit and encouraging both competition and the desire to defeat one's opponents both on the field of sport and ultimately on the battlefield. Sport has always played an important part in this development and it is therefore not surprising that our sporting achievements match our military successes. 1 Queen's Physical Drill Team, 1900. The photgraph albums of both regiments commence around 1890 and so our narrative begins with pictures from the period. Sport has always played an essential role in Army life, being an important element in regimental and social spheres and even more so in the general matters of fitness and health. The Queen's and the East Surreys, and later The Queen's Royal Surreys, have always attained distinctive achievements in sporting and competitive fields. Early photographs show teams from both The Queen's and the East Surreys as being participants in various sporting activities including football, cricket, shooting, polo and rowing. As early as 1894, at the Royal Tournament, the 4th Volunteer Battalion, The Queen's Royal (West Surrey) Regiment had won the Mounted Infantry Auxiliary Forces Riding and Jumping CompetitIon - a success which was repeated in 1906. (Such skills had been tested to the utmost in the campaigns of the South African War). 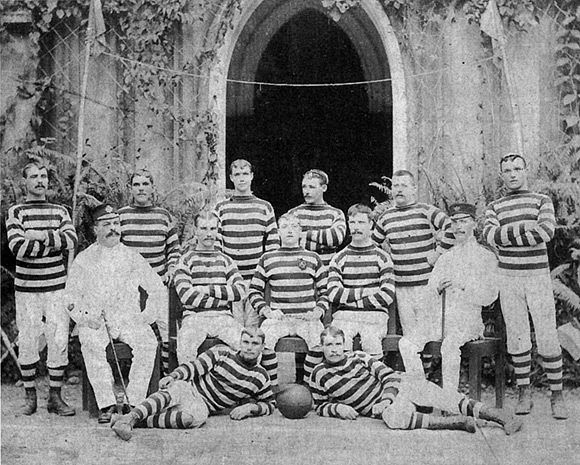 1 Surreys Football Team, Calcutta 1890. The 1st Bn The Queen's whilst stationed at Sialkot, India and commanded by Lt Col (later Brig-Gen) F J Pink took part and competed for the India Infantry Efficiency Competition. 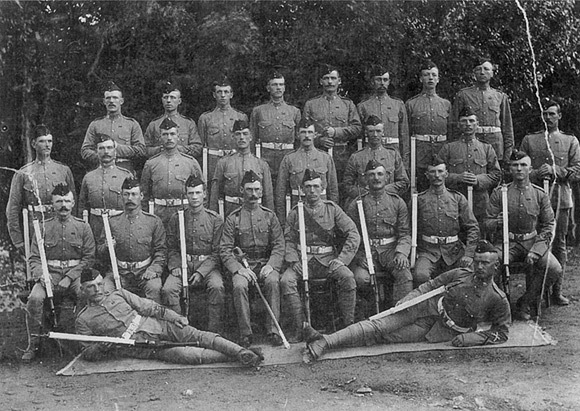 The 1st Battalion won the competition but it was assessed as being too severe, there were a number of casualties', some fatal and it was not repeated. The competition was instituted by Lord Kitchener, when he was Commander-in-Chief in India. 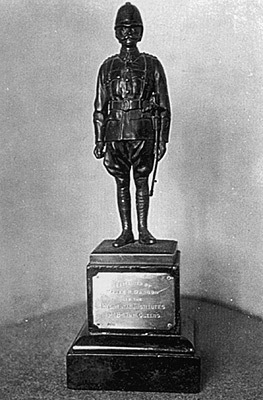 He presented a trophy, the Kitchener Cup, and directed that all infantry battalions in India should compete. There were at that time some 50 British Army battalions and 120 Indian Army battalions that formed the infantry element of the Empire's garrison in India. The training requirements were simpler though no less demanding physically than nowadays - the poacher/gamekeeper skills of the modem infantryman were not needed for 'duties in aid of the civil power'. The priorities then were shooting and marching; these were the days before motor transport and units had to be capable of marching quickly to any scene of trouble, if necessary over long distances. 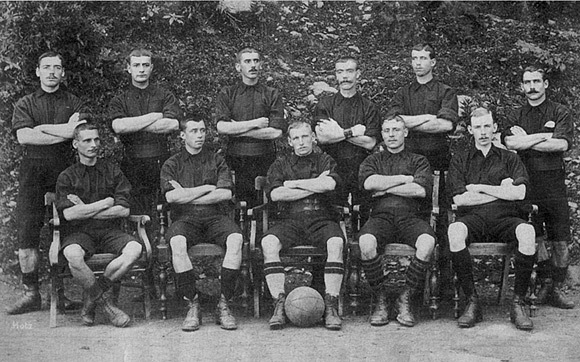 1 Queen's Football Team, Dagshui 1896. The competition required all soldiers of a battalion other than those actually in hospital, to compete. According to an account provided by a soldier serving in another unit, each soldier was issued with a number of rounds of live ammunition together with square lead weights to fill other pouches, making a total weight equivalent to 150 rounds. Each man was also issued with four army biscuits, a tin of compressed soup and three blocks of chocolate. The first part of the competition was a fifteen mile march. This was followed by an advance for a mile in skirmishing order, firing at targets positioned around in the jungle. Soldiers had to spot targets and estimate ranges for themselves as they advanced in short sharp rushes; this phase concluded with a charge. There followed a rest for an hour, in which the soup was boiled and biscuits and chocolate eaten, after which there was a second fifteen mile march back to the start point. Some units had up to three miles additional marching from and to their barracks - all in Indian heat. 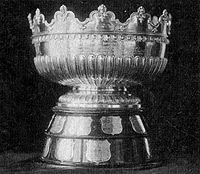 The 1st Bn The Queen's Royal Regiment were, allowed to retain the Kitchener trophy. 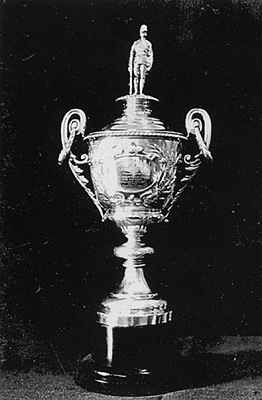 This is in three parts a silver cup and silver statuette that are currently held in the Officers' Mess, and a bronze statuette held in the Sergeants' Mess. These trophies are now held by The Princess of Wales's Royal Regiment. Presented be H E General the Viscount Kitchener of Kartoum, GCB CM GCMC. Commander in Chief of the Force in India.